There are plenty of places within easy reach of Adelaide city centre. 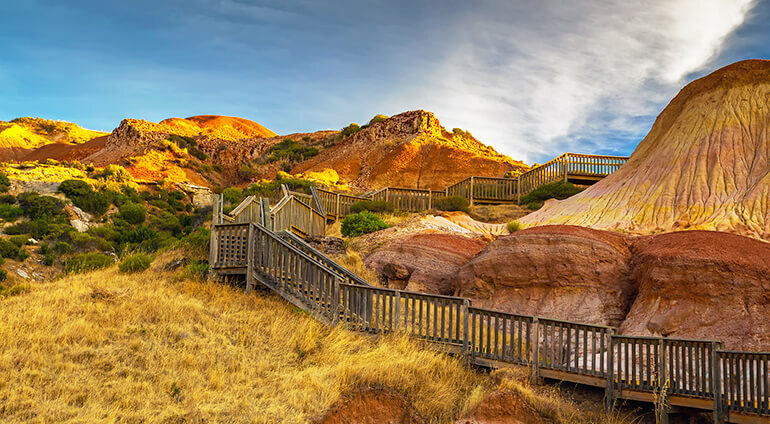 Kangaroo Island is around a two hour drive away, here you can enjoy gorgeous beaches, fresh seafood and impressive scenery. Cleland Conservation Park is located 20 kilometres outside of the city, it’s a wildlife conservation park with lots of different animals to see. There’s also Morialta Conservation Park, which is only 10 kilometres outside of the city.